In the spring and summer, you can walk down any nature path or hiking trail and find plenty of beautiful Minnesota Wildflowers. 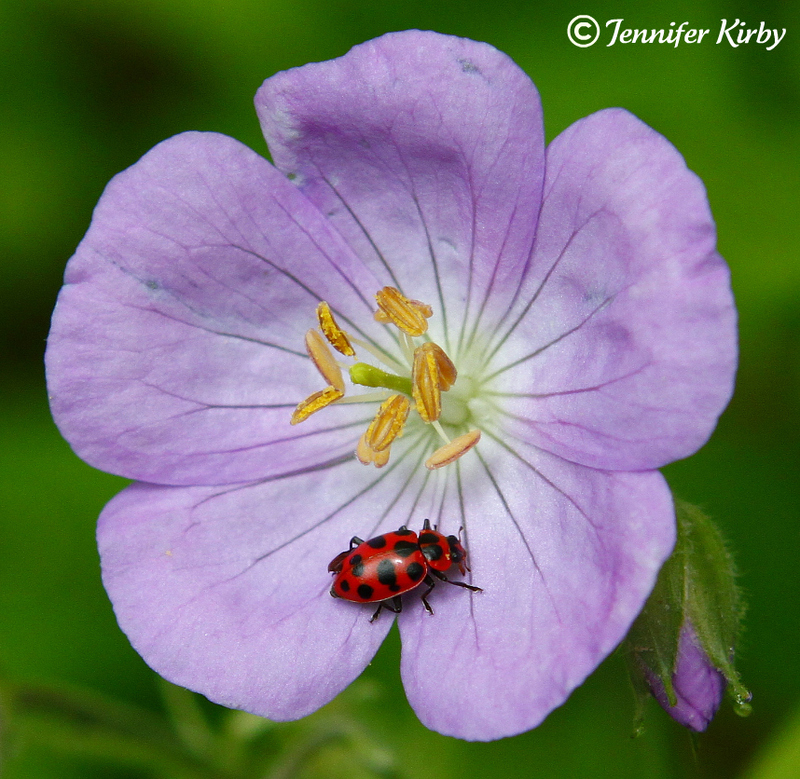 This photo is of a Wild Geranium, with a ladybug just nice enough to stay still so I could take a picture. If you want to see more wildflower photos, visit my garden blog at The Minnesota Garden.